The new camera, a Sony a7ii, has arrived along with a metabones Nikon F to Sony E adaptor. The plan is to use it with my non-G Nikon lenses (the basic manual-only metabones adaptor needs the lenses to have an aperture ring) and existing manual Voigtlander lenses. First impression is that the Sony is a well made and eronically nice – fits well in my hand, even though relatively small. However, I am not going to have much time with it as, in the next couple of days, it goes straight back out for full-spectrum conversion. What is very noticeable is how much the smallish camera is dwarfed by the big pro Nikon lenses, exaggerated by the metabones adaptor. Here it is with a Nikon 17-35mm, looking more like a big telephoto zoom than a wide-angle. This entry was posted in Images and tagged a7ii, infrared, lenses, metabones, nikon, sony, voigtlander on September 18, 2015 by nigelbeighton. The following is an update of comparative IR filter versions. It is useful to reference the various filter options when hunting out lens filters on the on-line shops marketplaces, Amazon, Ebay, B&H etc. Searches for “filter 590nm” often give no returns, but “Hoya 25A” comes back with multiples. Equally I have found filters, like the B+W 094 and Wratten 29, for sale from people who did not know what they were and picked them up relatively inexpensively – many people just think they are red coloured or dark ND filters. I no longer worry about the little variations in frequency transmissions – is it a 700 or a 720nm ? There is no exact science here. My experience with all my converted cameras is that the conversions all subtly differred in results, equally processing the WB, saturation and hue can adjust any of the images differently or make opposite make them match. I.e. I no longer get that precious about having every single filter range option. Having all 10 of the frequency options above would be both expensive and pretty pointless. With a full or dual-spectrum camera, I would start with the lowest frequency: 580-590nm, like a Hoya 25A and then happily only live with an additional 800nm+ filter for strong contrast B&W images. Anything in between, IMO, is a nice luxury to have, but if you are happy to do some simple colour processing in Lightroom or the like, not essential. I also no longer worry about cheap non-big-make filters, I have some cheap Chinese no-name 590nm, 720nm and 850nm filters and, when compared to my Wrattens and Hoyas, I cannot see any difference. I might want there to be, given what I paid, but in reality I can not see any. This entry was posted in Info and tagged B+W, filters, heliopan, hoya, infrared, schott, wratten on September 11, 2015 by nigelbeighton. Having been influenced some time back by Ed Noble’s (Infra-Edd) conversion of a Sony a7, I decided to take the plunge and ordered a Sony a7ii, which will go straight off for full-spectrum conversion. Rationale was primarily based on looking for slightly higher IQ, over the M43 sensor format, especially on bigger prints; plus the opportunity to use some of my existing full-frame (FX) Nikon and other interesting old lenses. 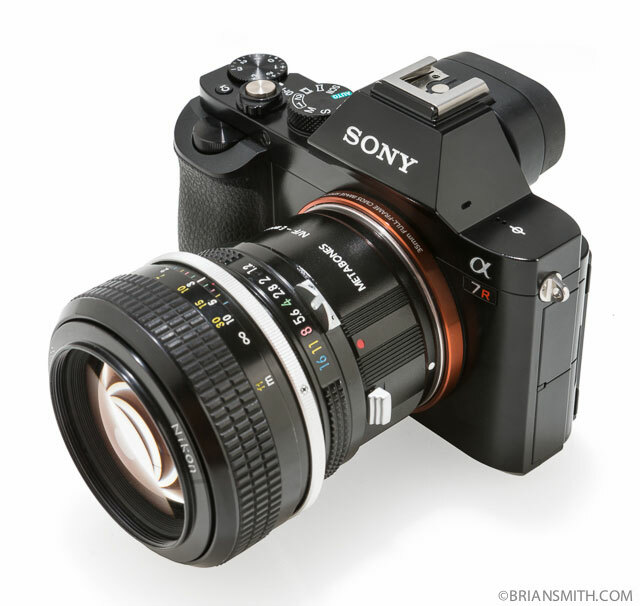 The Sony a7 range is currently relatively unique, in being mirrorless, and allowing use of other lens makes with a full-frame (35mm film sized) sensor. I romantically like the idea of not only using some of my old (kept for far too long) lenses, like my student-days Contax Zeiss Planar 50mm, but searching out old, but still optically excellent, manual lenses. I did consider converting my under-used Nikon D800, which would be easier to work with my existing lenses; however, the standard DSLR gotya, of really only being limited to one frequency with the optical viewfinder, is too much for me. I might, in the far future, convert it to 590nm, or BG3/Superblue, but is some way off. Even though the original Mk1 a7 has now reduced in cost second-hand, making it a great option for IR conversion IMO, I decided to go with the a7ii based on the new ergonomics (just nicer with my big podgy fingers) and the image stabilization, given I shoot 95% hand-held. I don’t need the a7s’ low-light and video capability; and the a7r’s whopping big pixel output (I struggle already with the D800 eating my hard drives and over working my laptop). The lenses I will initially use are my Voigtlander f3.5 20mm, Nikon AF-S f2.8 17-35mm and Nikon AF f2 135mm DC; all with a metabones adapter. Given 99.9% of my IR photography is landscape, reverting to manual-focus does not concern me. Unfortunately I will have to buy a 50mm lens with an aperture ring, as I currently have a Nikon 50mm G lens, but the older Nikon 50mm lenses are relatively inexpensive as AF-D or Ai-S lenses. I also decided to continue working with full-spectrum, and carrying the obligatory lens filters, as I would just miss too much working with the UG5 and BG3 bandpass filters (my UG1 has become redundant now, as it blocks a lot more light and there is little image difference between that and the UG5); plus, even if I converted to 590nm, I would still end up carrying lens filters for 720 and 850nm. It will be roughly a month before it comes back, but looking forward to getting it back and working with it (and hunting out some old lenses to play with). Not finalised what I will do with my existing M43 cameras, but will probably sell all bar one (probably the e-M5) to keep as ‘hand-baggage only’ travel camera. This entry was posted in Info and tagged a7ii, conversion, infrared, metabones, nikon, sony on September 10, 2015 by nigelbeighton. Landmark event – today saw the first commercial implementation of my infrared images (at RTS in Richmond); hurrah. This entry was posted in Info and tagged infrared, printed, Richmond, RTS on September 8, 2015 by nigelbeighton.